The text aims to assist both teacher and pupil into the spirit of one of the most inspiring subjects in our schools; to bring the pupil into contact with Nature in such a way that he may see and realize his own position in this world of complex activities, so that by observing more closely the familiar phenomena surrounding him in his daily life he may extend his observations and knowledge through the less known into the unknown, and thus be an intelligent part of the great world in which he lives. by Marion I. Newbigin - Henry Holt & Co. 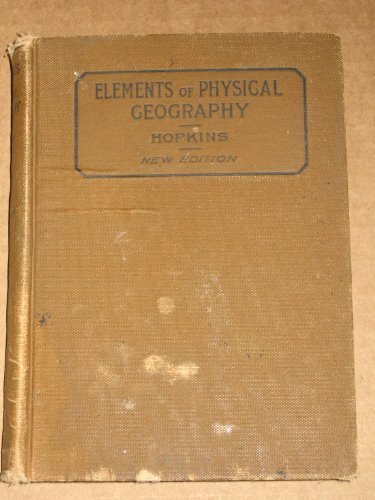 This online textbook describes an area of knowledge within geography known as physical geography. The book contains over three hundred pages of information, 2-D illustrations, photographs, and animated graphics organized into ten chapters.